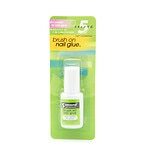 Shop Essential Medical Deluxe Handy Nail Brush (1 ea. )1 ea. Help your nails look their best with a nail brush. Choose between nail brushes for your toenails and those for hands and fingernails. 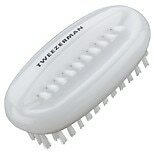 You can try a nail brush with a comfortable, ergonomic grip, or one that attaches to your shower wall for convenience. 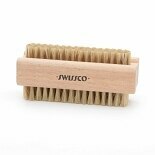 Most hand and nail brushes here at Walgreens.com have bristles that are soft yet durable for gentle and effective cleaning. Looking for additional hygiene products? We carry bath sponges, brushes and accessories to help you stay clean and fresh. 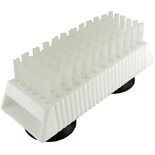 If you need other manicure and pedicure essentials, browse our selection of buffers, brushes and kits. You'll find classic nail files as well as power files for fast, professional-looking results. There are also buffers with different edges designed to shape, polish and shine your nails. 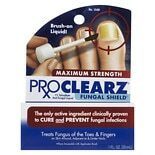 For your feet, there are pumice stones to remove calluses and rough skin, as well as antifungal treatments for your comfort and health. You can change your nail color almost as often as you change your outfit, if you want. 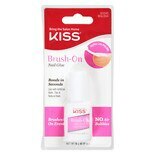 Nail polish remover is available in different formulas that can offer nail-conditioning benefits such as strengthening. Our assortment of nail polish includes a wide range of colors from popular brands. Go with bright, sparkly shades or sophisticated matte colors you can use as part of a French manicure. There's even nail glue as well as acrylic nails in different sizes and shapes.